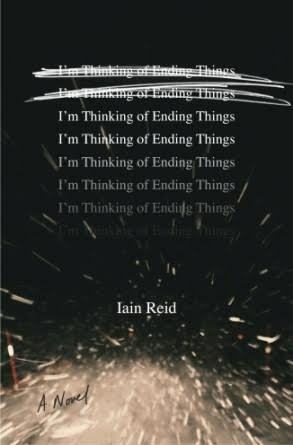 From the first page, Iain Reid knocks it out of the park with, "I'm thinking of ending things. Once this thought arrives, it stays. It sticks. It lingers. It dominates." The novel begins when a girl takes a road trip with her boyfriend to meet his parents at their isolated farmhouse. There's a detour, and what follows next is a twisty, dark, psychological thriller that does indeed 'linger, stick and dominate' long after the last eerie page is flipped. Iain Reid's debut, I'm Thinking of Ending Things should come with a support group, and the publisher Scout Press has done just that by providing a custom discussion page, AfterThingsEnd.com. An unusual and truly unique tale, and the very first thing I thought of after closing this book; a straight-on crazy win.